In the past I have made many fingerless gloves. They are really great for working on the computer in cold offices, or using your key without need of taking your gloves off. These gloves have no special design so they are fairly easy to knit. 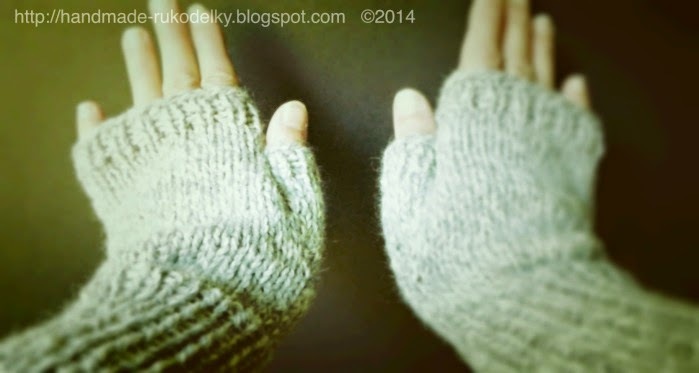 If you use a nice wool, you can make yourself really nice pair of gloves in just few hours. In the car, when we were traveling (my husband was driving) it took me one and a half hours to knit one glove. I use the continental style to knit, so it is a little quicker than the English one. So if you are intermediate knitter you could have pair of these gloves finished in 4-5 hours. 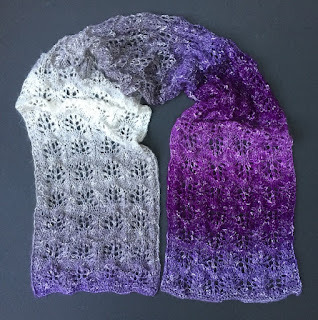 If you buy a really nice wool for let's say $5-$20 (depending where you buy it and what kind of wool), you could make someone happy with a beautiful gift.